Write SQL queries faster and safer with DataRow's Autocomplete feature. 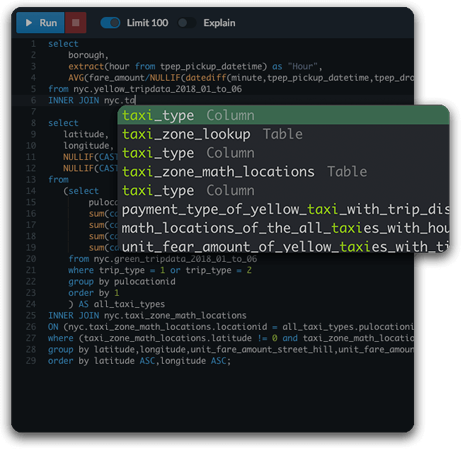 Autocomplete analyses the context and presents completed code suggestions; displays the completion popup as you type your code, so you can fill in long words by writing only a few characters. Autocomplete covers schema names, table names, column names of the current active schema. You can activate or deactivate the Autocomplete feature whenever you want.